There is an everlasting bickering between New Zealand and Australia. I guess most countries have an ‘arch rival’, the country they have to beat in any sports event, the one all jokes are about, the one that everybody loathes. For the Netherlands it’s Germany, for England it’s France, for the US it’s Canada and for New Zealand it is definitely the Australians. There are many ongoing discussions about who can claim the Pavlova (amazing dessert no matter who invented it! ), Phar Lap ( very successful race horse) and Split Enz (80’s band). And then there are the product vendetta’s, like the ongoing Vegemite vs Marmite ‘what’s better’. I actually grew up in the Netherlands with Marmite or as my dad pronounced it ‘Marmeet’. 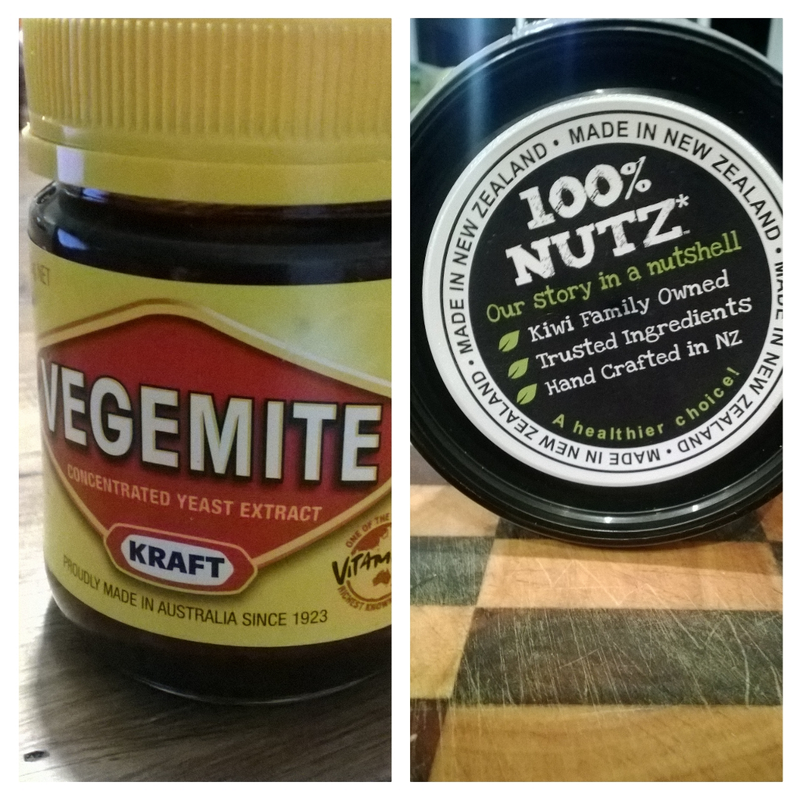 I like it, and I also like vegemite, Ozimite and any other brand that makes a yeast extract type product. A not so appreciated attitude in the ‘big’ discussion. This rivalry can be fun, as long as it’s just that. A bit of banter during a rugby match or in the pub. However, it is a bit more then that here. Recently this cultural squabbling took a bit of a political turn. The Australian supermarket chains, who incidentally also own a big part of the New Zealand ones, banned NZ produce from their shelves in favour of a very patriotic ‘ buy Australian’ campaign. The supermarket’s public statement is that the consumer in the end decides. I think that still remains to be seen, considering the big protest there already. The crazy thing is that countries at this end of the world need each other to survive economically. We are little brothers or sisters to the big trading powers in the rest of the world. NZ or Australia mean little in the eyes of companies also looking after markets like Germany, China and Russia. We’ll get to you when we’ve dealt with the real world is often the attitude. So NZ and Australia are left to their own device and instead of concentrating on why we are so different, we should work together. Yes it is different, more different then you would initially think. But we are also so close, there are so many families and companies stretched across both countries. Why can 28 countries in the EU drop their borders, have the same currency and work together as a trading power and 2 countries, who speak the same language and still belong to the same Commonwealth, cannot. It should be so easy to travel between Australia and New Zealand, but at the moment it’s as hard as any other International Flight. All this extra red tape and rivalry takes up time and energy that could be so much better spent on the things that matter. Vegemite or Marmite, make it ‘and’ and move on. This entry was posted in A to Z challenge and tagged au, marmite, nz, pavlova, phar lap, rivalry, split enz, vegemite, vendetta, work together. Bookmark the permalink.